There are as many ways to sell art, as there are artists. And with a myriad of possibilities these days to get exposure online, there is a lot you can do to enhance the visibility of your work. This is a comprehensive list of sites who present your work for free or very low cost within online galleries or online portfolios. If you want to sell your artwork, displaying it online is a competitive alternative in the age of the Internet. Many website building companies offer either free or very low cost website hosting and provide a range of great services, such as blogs or the building of your own website. We have prepared a comprehensive listing for you of opportunities, with a short description of services offered and a direct link to each site. Allows to sell work with zero hassle, supplies with a digital file and take care of all manufacture, shipping and customer service. From cards to T-shirts via stickers and framed prints, calendars, canvases and posters. Affordable, easy-to-manage artist websites, equipped with online marketing, sales, and community building tools to increase visibility. You don't even need to build your own website when you can have an ArtId. Free or upgrade options available. The gallery claims to presents a huge collection of artworks by the best worldwide contemporary artists. Art Online is a free online art gallery which promotes the work of artists from all over the world. It creates an online market place that brings together artists and art collectors. Display, share and sell your art commission for free, and you can use Art Online as your online portfolio. With artbreak you can share your work with the world and sell it commission-free. beetlebird.com is a place to buy, sell and display art of any kind and it is free. Artists can post an unlimited number of items which are on display or available for sale in an online gallery. Artwork can be purchased directly from the artist by filling out a simple to use form and arranging payment with the seller. Setting up shop on Etsy is easy and takes only a few minutes. You can customize your shop with a banner, profile, shop policies and more. You’ll get your own URL for your shop based on your username. It costs 20 cents to list an item for four months. When your item sells, there is a 3.5% transaction fee. Community for buying, selling and creating art. Artists you can sell art online. Claim to be one of the fastest growing art communities on the web.Sselling and producing work with the highest quality framed giclee prints and recognized attention-to-detail. Free websites for artists, creating and hosting ecommerce art websites has never been easier. Exhibit, promote and sell your art online, in minutes. Free service or can be upgraded. The Art Box is a free online art gallery that has been created to give artists the chance to display their artwork to the world. The Art Box is a free online gallery, with no hidden costs. You can create an online art gallery in less then 10 minutes and you can have it free for a life time. Blue Zeppelin created an environment where artists can exhibit their art online with confidence and enthusiasm, without any technical restraints. Nothing is compromised in order to complement one's artwork. Foundmyself is a free art community. You can buy art and sell art commission free, or just share with friends. Artabus is a group of virtual galleries, each one is hosted in different languages depending on the language of the visitor's browser. Galleries for free and not commission fee. Professional hosting system with a high quality of service. Your personalised gallery has an easy access with a. named URL. Completely free online gallery. No limit on number of contact messages and do not charge a commission.Yyou don't need to pay to sign-up or display your works. To register on the site you only need to provide your e-mail address, and your name or alias. Quick, easy and free creat your own online gallery. You can promote and sell your artwork, gain feedback from the public and other artists, meet other artists in your area, and more. A free online gallery creation tool for artists. Create as many galleries as you wish with an unlimited number of images. Easily drag and drop images into your gallery. Create your own space for others to visit and learn more about you. Collect your Favourite Artists in one place. Wobblybridge Art Gallery is a virtual online art gallery and art community which allows artists to create profiles and blogs / websites enabling them to share and sell their work to the world. This site is open to Artists, Photographers, Galleries. It is free to join. Originalart.com is a portal offering easy access to learn, explore, buy and sell original art and print. Artwork and prints for sale, artists and galleries can submit work for sale within the site. With Oil Painting Online it takes 2 minutes to Create an account and it is100% Free / No Commissions. Oil Painting Online have been helping artists sell online all over the world since 2005. Free online gallery for artists and galleries. Listings are free, 20% commission. They encourage dealers, galleries, and private collectors to take advantage of the risk free exposure theyoffer and list with us. They receive more than 1.75 million page views per month from over 450,000 visitors worldwide! 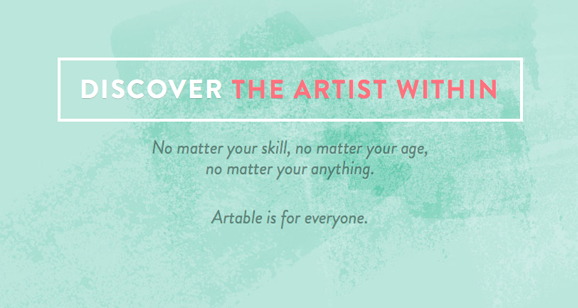 Free online portfolio for visual artists of all kinds. Thousands of artists from 105 different countries all around the world are on display. Up to 7 images on show are for free. A really well working hassle-free online portfolio.Used by over 42,500 designers and artists worldwide. Simple to use, it is easy on the eyes with no HTML necessary. Full of features. Shadowness allows you to design a portfolio to represent your art, and you can upload your own avatar, along with your favorite wallpaper and make your own themes. Subscribers and senior members can also add their own HTML and CSS code for a fully customized profile page. A professional site offering free portfolio showcase. This site also inlucdes a design job board and an employer directory. I has over 88,000 designer portfolios listed. “... the circus is coming to town and you paint a sign saying 'Circus Coming to the Fairground Saturday', that's advertising. If the elephant walks through the mayor's flower bed, that is publicity. And if you get the mayor to laugh about it, that's public relations. Australian owned Art Harvest is an online platform where hand-picked emerging and established Australian artists and designers profit from the sale of their artwork , by collaborating with Art Harvest to produce limited edition artworks and design pieces, wall papers, laser etched skateboards, laptop skins….just to name a few of your artwork. This great online art gallery for artists and students offers tutorials news, games and opportunities.